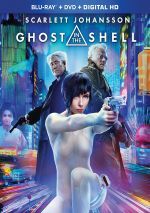 More than two decades after the original animated film became a classic, Ghost in the Shell comes to the screen via a big-budget, live-action adaptation. Set in an unspecified “near future”, most humans sport cybernetic “enhancements”, and Hanka Robotics takes these innovations one further when it develops an artificial body – or “shell” – in which human brains can reside if their physical forms no longer seem viable. Mira Killian (Scarlett Johansson) survives an event that kills her parents, but her body gets damaged beyond repair. This means she becomes the test subject for the “shell” program and receives training as a counter-terrorism operative. Mira soon rises to the rank of major and gets involved in the investigation when terrorists seem to target the Hanka organization. We follow her efforts to combat this menace as well as complications, some of which relate to her inconsistent memories and struggles with her past. As I noted when I reviewed the 1995 animated Ghost, new audiences may find it difficult to regard the property as innovative. So many subsequent movies “borrowed” ideas and imagery from the origina Ghost that it seems less fresh than it would’ve 20 years earlier. This seems doubly true for the 2017 live-action rendition. While the film makes half-hearted attempts to claim its own territory, it fails to achieve its own identity. Instead, Shell feels like little more than an amalgam of visual ideas from other films. Its Asian cityscape comes across like the LA of Blade Runner on steroids, and much of the action demonstrates a seemingly inevitable Matrix vibe. Ghost offers slick visuals but never does anything to seem original. The same goes for its story. To its credit, the 2017 Ghost offers its own take on the original’s plot, so it doesn’t simply retell the same narrative. While the two come with clear similarities, I’m glad the live-action edition goes its own way in that regard. I just wish the screenwriters attempted a story with a more original feel. Expect a movie that nods in the direction of many earlier works, as it evokes virtually any movie with similar themes. Ghost leans heavily on its questions of humanity in the age of artificial intelligence and robotics, but it fails to bring anything new to the table. It simply echoes ideas and notions from other movies without anything fresh or insightful to deliver along the way. I might not mind Ghost’s absence of intellectual creativity or heft if it brought us a lively, compelling action flick, but in truth, it seems like a snoozer to me. Though the plot remains fairly simple, the movie muddies the waters to a ridiculous degree and makes the tale far more confusing than necessary. Ghost also simply never becomes exciting or thrilling. Its action beats feel perfunctory and stale, and the character drama lacks meaning. The movie plods from one sluggish scene to another and never threatens to develop a rhythm or pulse. All of this makes the 2017 Ghost a significant disappointment. The movie can’t take advantage of its source’s strengths so it winds up as a slow, forgettable sci-fi tale. 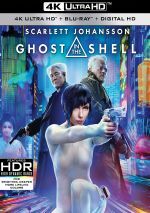 Ghost in the Shell appears in an aspect ratio of approximately 1.85:1 on this Blu-ray Disc. The flick boasted a fine presentation. At all times, sharpness excelled. Nary a sliver of softness popped up here, so the end result appeared tight and concise. Both moiré effects and jaggies remained absent, and I saw no signs of edge haloes or print flaws. For the film’s palette, we got a definite orange and teal bent much of the time, but other hues showed up as well, with good examples of reds, pinks and purples. The Blu-ray reproduced these in a vivid, dynamic manner. Blacks looked deep and rich, while shadows demonstrated nice delineation, as low-light shots brought out positive clarity. Everything about the image lived up to my high expectations. I also felt happy with the solid Dolby Atmos soundtrack of Ghost. Downconverted to Dolby TrueHD 7.1, the mix offered plenty of opportunities for lively auditory information, and it took good advantage of these. From an early assault scene to chases to gunfire to explosions to other action elements, the mix filled the speakers on a frequent basis. The track placed information in logical spots and blended all the channels in a smooth, compelling manner. The earlier picture comments reflected the 2D presentation – how did the 3D version compare? In terms of quality, the 3D edition largely matched up with its 2D counterpart, but I noticed occasional instances of softness in the stereo presentation. These weren’t major, but they added a sporadic tentative impression during the 3D transfer. As for the 3D imaging itself, Ghost tended toward something of a “pop-up book” feel. While it gave us pretty good depth, it didn’t always integrate characters and motion in an especially smooth manner. Though I thought this was a more than acceptable presentation, I’d recommend the 2D image as the superior rendition of the film. 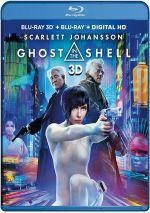 Three featurettes fill out the disc, and these start with Hard-Wired Humanity: Making Ghost in the Shell. 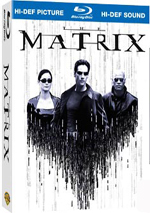 It runs 30 minutes, five seconds and includes notes from producers Ari and Avi Arad and Michael Costigan, director Rupert Sanders, effects supervisor Richard Taylor, costume designers Bart Mueller and Kurt Swanson, executive producer Jeffrey Silver, director of photography Jess Hall, art director Andy McLaren, weapons master Nick Komornicki, 2nd unit director/supervising stunt coordinator Guy Norris, stunt coordinator Glenn Suter, fight trainer Richard Norton, fight choreographer Tim Wong, visual effects producer Fiona Campbell Westgate, editor Neil Smith, 1995 film director Mamoru Oshii, and actors Scarlett Johansson, Pilou Asbaek, Michael Pitt, Juliette Binoche, “Beat” Takeshi Kitano, Daniel Henshall, Chin Han and Pete Teo. “Humanity” discusses the source and its adaptation, story and characters, cast and performances, sets and locations, makeup, effects and costumes, stunts, weapons and action, and editing. That’s a lot of territory for one 30-minute program, but “Humanity” handles the material well and gives us a quick but engaging overview of the production. With the 11-minute, 29-second Section 9: Cyber Defenders, we hear from Sanders, Johansson, Han, Avi Arad, Asbaek, Kitano, Komornicki, screenwriter Jamie Moss, and actors Danusia Samal, Yutaka Izumihara, Tawanda Manyimo and Lasarus Ratuere. The show offers a few thoughts about cast and characters. :”Defenders” tends to be fairly forgettable. Finally, Man & Machine: The Ghost Philosophy lasts 10 minutes, 36 seconds and features Sanders, Taylor, Johansson, Avi Arad, Smith, Moss, Binoche, Asbaek, and Pitt. “Machine” looks at the nature of artificial intelligence and technological elements in the movie. This turns into a decent but not especially insightful piece. Fans who waited more than 20 years for a live-action Ghost in the Shell seem likely to feel disappointed with the end result. Despite a slew of potential positives, the 2017 film provides a largely dull, meandering tale. The Blu-ray boasts excellent picture and audio along with average bonus materials. Ghost turns into a forgettable experience.